I have been a Freemason for nearly twenty years. In that time, I have learned much regarding Freemasons secrets. I have no qualms about revealing the truth behind the secrecy because the truth is that as an organization our secrets are kept in plain sight. Are There Secrets in our Masonic Symbols? Perhaps, but if our symbols contain Freemasons secrets why are they plastered all over our buildings? Why do we proudly display them on our vehicles, in our homes, on our clothing, on our fingers? The truth is there is no great mystery in the Freemason symbols. They are simple working tools endued with moral teachings. The plumb is used to erect a structure that stands upright and true. The square when used properly ensures that two angles brought together bring equitable strength to the structure. The use of the level ensures that the whole rests upon a solid foundation and that no one structural member bears excessive pressure. The Masonic lambskin apron symbolizes the way Freemasons choose to live their life, in service to others and with purity of intent. These tools could be used in a variety of ways, and they could be endued with a variety of moral qualities. There are other tools and other teachings, but the simple truth is they are just symbols. They are not secrets. What About the Secret Masonic Handshakes, Signs, and Passwords? Yes, these are secret. But, why are they secret? The hand grips are simple modes of recognition. The signs and passwords are used primarily as part of our Masonic ritual. They are not keys to some ancient and arcane knowledge. Were a man to learn all the signs, grips, and words it would still not be enough to gain him entrance into a Lodge meeting. And, even if he should manage to pass himself off as a Mason and gain entrance into a meeting he would simply come away confused, not enlightened. Without understanding, the observation of an act carries little meaning. It would be like watching a National Geographic presentation on primitive tribal customs with the sound turned off. Without knowledge and understanding of what they are doing and why, it just would not make sense. So, why are these things considered Freemasons secrets? One word.honor. Every man who has become a Mason has taken upon himself a promise that he would keep these, as well as other things, secret. It is not a matter of secrecy, or privilege, or exclusivity, or even privacy; it is plainly and simply a matter of personal honor. You make a promise, you keep it. What About the Secret Masonic Rituals? Well yes, our Masonic ritual does contain many Freemasons secrets. They are secrets that come under the same promise of personal honor that each Mason takes upon himself. We use our ritual as a means to explain, educate, and impart knowledge to the candidate and to Brethren who seek to learn more. But, is our ritual truly secret, apparently not. 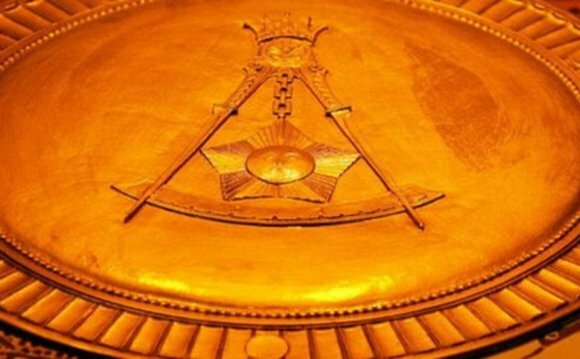 For nearly three centuries, maybe longer, men have been "exposing" the secrets and mysteries of the Freemasons, and they continue to do so today. After nearly three hundred years of exposure, surely there is nothing more to be seen. And yet, there is more. The rituals of the Freemasons contain Masonic secrets. This much is true. But, as any Mason who has traveled and attended Lodge in another State or Country can attest, the ritual varies from one to another. In fact, in my own experiences I have seen that the secret Masonic ritual can vary considerably from one night to the next in the same Lodge. The teachings are the same; the impressions intended to be made upon the candidate are the same, but the varying ritual is only similar. Surely, no real secret can be kept in varying forms.